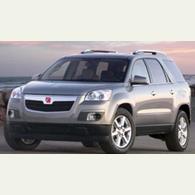 (autoinsidernews) - While General Motors has good idea how it will advertise its three new crossover vehicles the Saturn Outlook, GMC Acadia and Buick Enclave, it isn't sure what to call them. A crossover is an auto industry term for a unibody vehicle that features more carlike handling than a traditional body-on-frame SUVs, but the word crossover' is lost on most of America, reports Trend. According to Mike Jackson, General Motors North America's vice president of marketing and advertising, the automaker is considering whether to refer to the three vehicles as crossovers, or SUVs, or something entirely different.